Join us for a light breakfast and beverage! 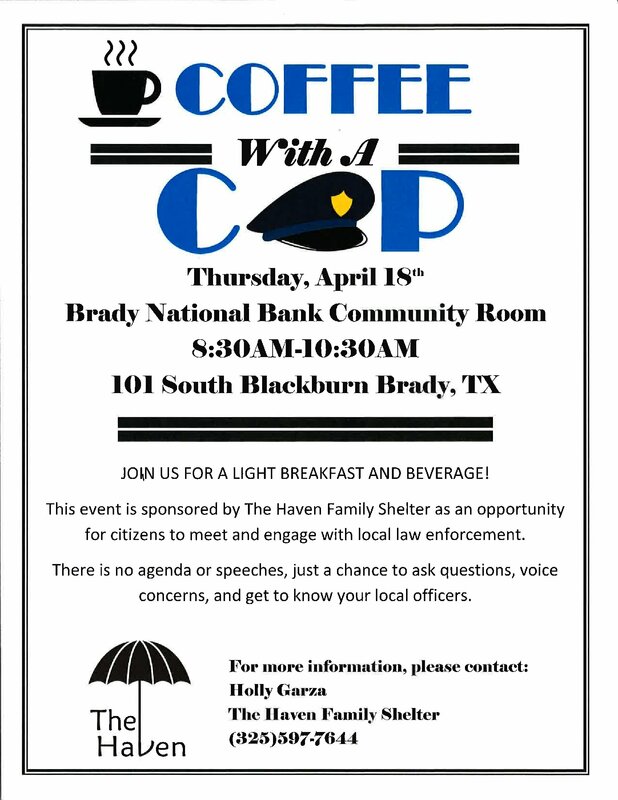 This event is sponsored by The Haven Family Shelter as an opportunity for citizens to meet and engage with local law enforcement. There is no agenda or speeches, just a chance to ask questions, voice concerns, and get to know your local officers.